Christopher Brown is an African-American musician who majored in the R&B genre. Aka Breezy, he is also a songwriter, dancer, and actor. Brown is known for his versatility and unique contemporary adaptations of the R&B genre. Most prominent among his numerous songs are ‘Run It’, ‘Gimme That’, ‘Forever’, ‘With You’, ‘Say Goodbye’, ‘Loyal’, ‘Look At Me Now’, ‘Party’, etc. Born on 5th May 1989 in Tappahannock, Virginia, Chris Maurice Brown had a Christian upbringing and performed in the church choir as a child. He, however, developed a love for pop music which he went for straightaway. He moved directly from high school to a full-time entertainment career and so did not acquire higher education. Chris Brown’s musical talent was discovered by Hitmission Records when he was just 13. He later signed his first record deal with Jive Records in 2004, at the very young age of 15. He then released his debut studio album, Chris Brown the next year at 16. The album which placed 2nd on the US Billboard 200 on release, sold over three million copies worldwide. Both his first (Chris Brown) and second (Exclusive) albums received double platinum certification from the Recording Industry of Association of America. Moreover, his debut single ‘Run It’ topped the US Billboard Hot 100, making Breezy the second male artiste to have his first single peak the chart after Diddy in 1997. With 87 entries, Brown’s songs are ranked the 7th most hot 100 on the US Billboard chart. Brown is 1.85 meters tall and 6’1 inches. He is one of the tallest in the American musical stage, being taller than most of his famous colleagues such as Usher, Lil Wayne, Kanye West, T.I, etc. Breezy is just ok with his height and once revealed he would not want to be an inch taller as this will give him much more work to do when it comes to dance moves. Among other numerous legal issues and jail terms, Chris Brown was in 2009, sentenced to 5 years of probation, one year of domestic violence counseling and six months of community labor after he pleaded guilty of felony assault against his then-girlfriend, Rihanna. He was also slapped with a 5-year restraining order which mandates him to stay 50 yards away from Rihanna and 10 yards at public events! Brown’s temperament is linked to his childhood where he continually witnessed his mother being assaulted by his step-father. He is believed to have suffered a great deal emotionally as a result of the assault issue and once revealed that his intention was to marry Rihanna and that he still loved her. He has continued to receive endless criticisms over the issue and was also denied entry into the UK in June 2010. Chris Brown’s major role model and inspiration is Michael Jackson and he once cried on stage while performing Jackson’s ‘Man in the Mirror’ at the 2010 BET Awards. So far in his music career, Chris has earned a total of 265 award nominations out of which he won 83. 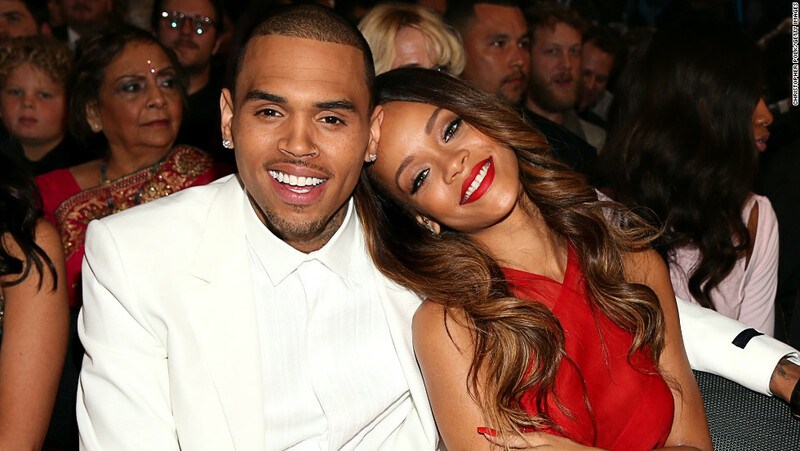 North American pop superstar and actress, Rihanna was Chris Brown’s first known and most prominent girlfriend. Although they met and became friends in 2005, the two musicians went public as perfect lovebirds later in 2008. Their booming and much-talked-about relationship, however, hit the rocks after Chris allegedly lied to Rihanna about a previous affair with a female colleague. One of the quarrels that ensued ended in Chris physically assaulting Rihanna – an action that earned him a jail sentence, some other punishments and ultimately, separation from Rihanna. Chris Brown met Nia Guzman, a Latin American singer/songwriter around 2010. Although they remained mutual acquaintances, their friendship later produced a baby girl in May 2014 named Royalty. Nia Guzman is the former wife to Terry Amey, also a Latin American. 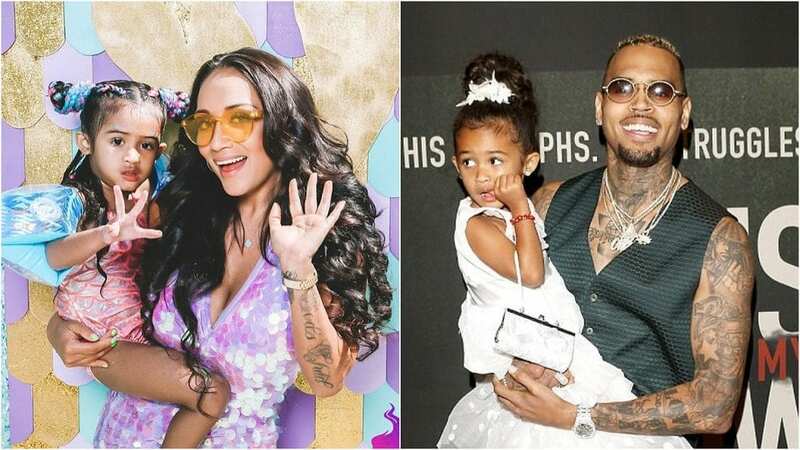 But Nia and Chris’ relationship went sour following Royalty’s custody and co-parenting. The two have since been moving from one court case to another amidst regular social media fracases. The situation went so bad that Nia once told perezhilton.com that there is nothing positive about raising a child with Breezy. Little Miss Royalty Brown who is a pretty and rascally firecracker. She has already fallen in love with ballet and appears to be taking after her ‘bad guy’ papa, and of course her mama too, ‘cos she once revealed she’s also a firecracker! In August 2015, Chris Brown revealed in a US Weekly post titled “25 Things You Didn’t Know About Me” that he owns 14 Burger King Restaurants. Some of the requirements to make it as a BK franchise includes having a net worth of not less than $1.5 million and liquid assets worth $500,000. Burger King as of 2015 has a total revenue of over $4 billion. Like most celebrities, Breezy boasts of a clothing line called Black Pyramid Clothing. BLKPYRMD is mainly a streetwear line comprising tees and snapbacks. He revealed that in the first year of launching his clothing line, he made over $4 million in profits. The line launched a new collection in 2016 that retails for $70 upwards. Chris Brown is also an ambassador for luxury clothing line Philipp Plein. Chris Brown also owns a record label CBE which he founded in 2007. Chris Brown’s record sales have hit the roof with most of his albums going platinum. He has sold over 16 million albums worldwide. His single, ‘Beautiful People’ from his 4th studio album, F.A.M.E sold over 2.5 million by January 2014. The fame F.A.M.E (2011) became Chris Brown’s first album to top the Billboard 200. It earned him a Grammy Award for the best R&B Album. His 2012 album “Fortune” became his second Billboard #1 album. The album included hit singles like ‘Turn Up the Music’, ‘Sweet Love’ and ‘Don’t Judge Me’. Chris Brown has supported each of his albums with a corresponding tour. His Between The Sheets Tour co-headlined with Trey Songz grossed over $6 million from 22 shows in North America. In addition to music and business ventures, Chris Brown has been active in the movie industry. He made his feature film debut in Stomp The Yard, alongside Columbus Short. He has also starred in other movies such as Takers (2010), Think Like a Man (2012), and Battle of the Year (2013). On the average, Chris Brown makes around $4 million yearly from all his business ventures. Chris Brown in 2015 purchased an 8,317 sq. ft. pad in San Fernando Valley Tarzana, Los Angeles at $4.35 million. The house which sits on a three-quarter-acre includes 6 bedrooms, 8 bathrooms, and a soundproof home theater with 14 recliners for loud parties. The exteriors feature an outdoor kitchen, a 10 car motor court, 3 fire pits and of course a saltwater pool. The grounds are complimented with an expansive lawn hosting a waterfall. Surrounded by 16 security cameras, the house also offers stunning views of the Santa Monica Mountains. Breezy turned one of the 6 bedrooms to his closet, and it still doesn’t seem to provide enough space for all his clothes and shoes! Chris Brown is one of those celebrity car enthusiasts. The ‘Deuces’ singer has been spotted with over a dozen supercars since his rise to fame. His favorite is unsurprisingly the Lamborghini. Here’s a look at some of his latest car collections. The Superveloce (SV) as the name implies is a superfast luxury vehicle with the ability to reach the 60 MPH in 2.8 seconds and a top speed of 217 MPH. The loyal singer reportedly purchased this in September 2015 for at least $400,000. Breezy also owns another Lambo Aventador which he bought for $397,000. He customized it to a baby blue and black theme; (pictured). Breezy bought this car as a replacement for an all-black version he crashed in LA. The rise is from Russian aftermarket tuning company, TopCar. The company is famed for customizing European luxury vehicles. The Porsche features a Stinger GTR body kit and thanks to TopCar’s fixes to its 3.8-liter six-cylinder engine, it can move to 60mph before 3 seconds. This new toy set Breezy back around $280,000. Breezy in August 2015 became the first owner of this beast car. He reportedly bought it for $200,000. Its 2.4-liter 4-cylinder engine gives it the ability to reach the 60 mph mark in just 2.7 seconds. Interestingly, Breezy has already introduced his little daughter, Royalty to the fine life of luxury living. Breezy makes customized miniaturized versions of his luxury cars for his baby and they reportedly cost $2,500 each.